I didn’t blog yesterday. Not for any good reason other than we dropped a meal off for a mom that had recently given birth, it was kinda far away, we got lost…by the time we got home it was almost Zara’s bedtime…she needed a bath…we needed to eat dinner (luckily I had fed her)…no excuses. So anyway, I bring you a really really cute picture of my child and her friend Kai helping to make scones. See, worth the blogging miss don’t you think? Anyway, yesterday we had a couple kids (and moms) over for a play date. I always like having something to nibble on, but we are not early risers in our household, primarily because we stay up SO late. So I wasn’t quite ready when they first got here (meaning I had done nothing but preheat the oven). This is not my recipe, in fact, it comes from a box and I added things (Don’t judge, I got it for Christmas, thanks Leitha!,and needed to use it). It’s Stonewall Kitchen, which has fantastic products. This is their traditional scones recipe. 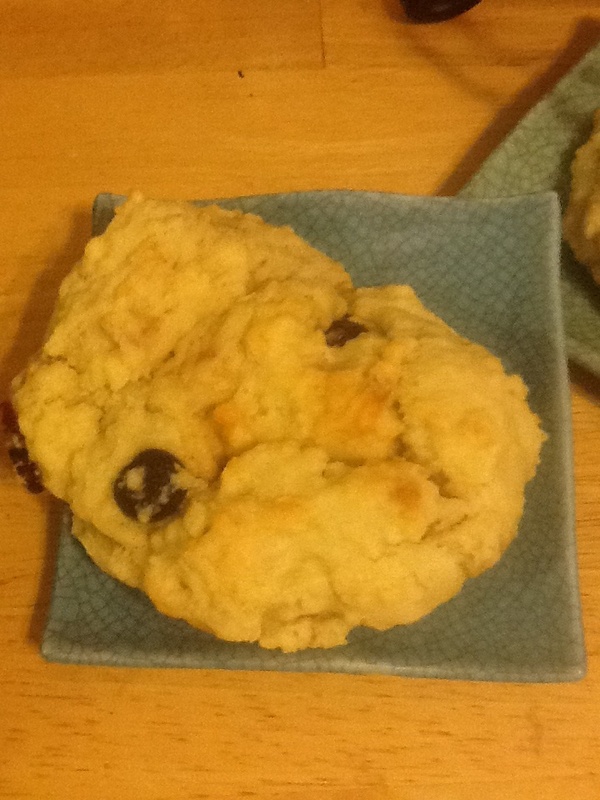 I actually make scones all the time, so I’ll post my recipe soon. Really I made per the box instructions and then added blueberries, cinnamon and honey. This recipe has you add the butter in small pieces, while cold so that you would get that beautiful crumbly scone once baked. Go get yourself a box, or make your own!